Our goal is to connect people with the best local experts. We scored tree service professionals on more than 25 variables across five categories, and analysed the results to give you a hand-picked list of the best tree service professionals in Oceanside, CA. Serving the entire San Diego, CA area, Arbor Age Tree Service, Inc has been delivering professional tree maintenance to their clients for nearly four decades. They provide services for both residential and commercial customers, and they specialize in tree trimming, tree removal, stump grinding, pruning, and lot clearing for large spaces. Furthermore, they will conduct crown reduction, crown restoration, and hedge trimming. Arbor Age Tree Service is committed to cleaning their work area entirely once the job is finished, so their clients can see the improved landscape immediately. Their company is a member of the International Society of Arboriculture and the Professional Tree Care Association of San Diego. Go Green Tree Services is a family owned and operated company that has been serving the North San Diego County of San Marcos, Escondido, Carlsbad, Vista, Oceanside, and Encinitas for over ten years. They provide services to both commercial and residential clients such as tree pruning, tree shaping, tree thinning, tree removal, stump grinding, crown reduction, palm pruning, palm tree skinning, palm removal, palm tree trimming, brush clearance, pruning, and shaping. They also provide exclusive tree services which include full-service tree care comprised of trimming, pruning and shaping trees and shrubs. In addition, they offer 24-hour storm emergency cleanup services within the local area. Interested clients can obtain free estimates without any obligation at all. Green Roots Tree Care is a tree removal and tree care business located in Southern California that provides services to many cities in the area. The company is owned and operated by an ISA Certified Arborist. They strive to provide clients with high-quality care and affordable prices. Their employees are trained to use many kinds of requirement. Green Roots Tree Care offers many different services including stump grinding, tree pruning, tree removal, and health assessment of trees. The company is licensed in the State of California. The company also strives to provide services that have a low-impact on the environment. JRC Services, located in Oceanside, California, is a tree care company that helps maintain the beauty of trees for both residential and commercial clients. They offer a wide variety of options such as tree removal, stump removal, hedge trimming and removal, palm trimming and removal, shaping, tree and shrub pruning, tree crown reduction, debris removal, brush chipping and hauling, weed whacking, landscaping, and lot clearing. The company is fully licensed and insured, they can be contacted 24 hours a day by phone or by e-mail, and customers have commended them as skilled. Service extends to such areas of North County of San Diego as Oceanside, Carlsbad, Vista, and more. Effectively serving San Diego and the surrounding areas, Lara's Landscaping provides high quality and reliable landscape services, including tree and stump removal, tree shaping, pruning, trimming and thinning, poison oak removal, and much more. Their superior company provides a variety of photos on their business website which effectively display the exceptional quality of their previous work. Their organization built their superb reputation on superb workmanship, personalized customer service, and a knowledgeable, well-trained staff. Lara's Landscaping is excellently reviewed among a variety of online sources, conveniently gives free estimates, and is willing to assist quickly in emergency situations. Sutton Tree & Land Care is a tree care and services company based in Vista, CA that serves the entire San Diego County area. The locally owned and operated company has been in operation for over seventy years and the owner has over thirty years of tree care experience. 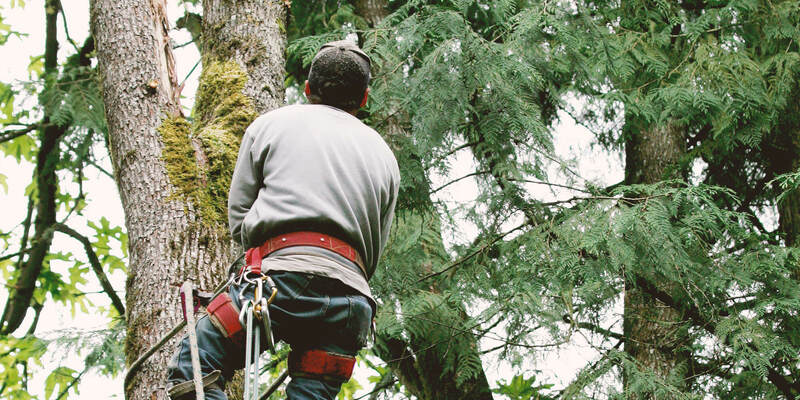 All work is carried out by fully licensed and insured technicians and supervised by an arborist certified by the International Society of Arboriculture. Services offered include tree removal, trimming, transplanting, pruning, planting, fertilization, cabling, stump grinding, as well as plant health care. Sutton Tree & Land Care also provides inspections and helps protect trees from fires. The company provides a free estimate for all clients. Vista Tree Service is one of the foremost certified arborists in San Diego County. The firm is a state-licensed trade that has been around since 1991, and it has an affiliation with the International Society of Arboriculture and Professional Tree Care Association. The establishment works in residential and commercial settings, and it also welcomes municipal projects. Vista Tree Service diagnoses and addresses landscape problems of varying types, and the tasks include designing plant nutrition and fertilization plans, recognizing tree hazards and construction damage, trimming the foliage, and grinding stumps. The staff accepts cash, personal checks, credit cards, and debit cards, and it gives free consultations and estimates.